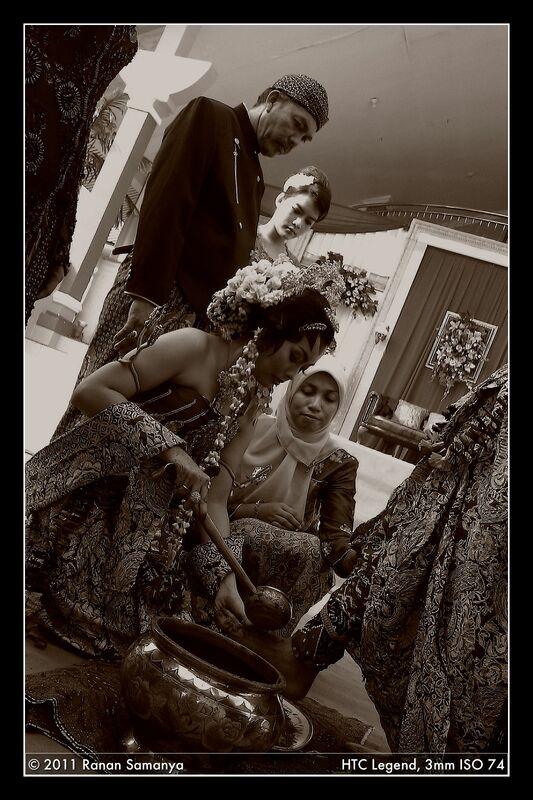 My family was honored to be invited to a Javanese style wedding reception by Yuskar Indra Utama, a good friend and probably one of the most humble and loyal staff in our company. 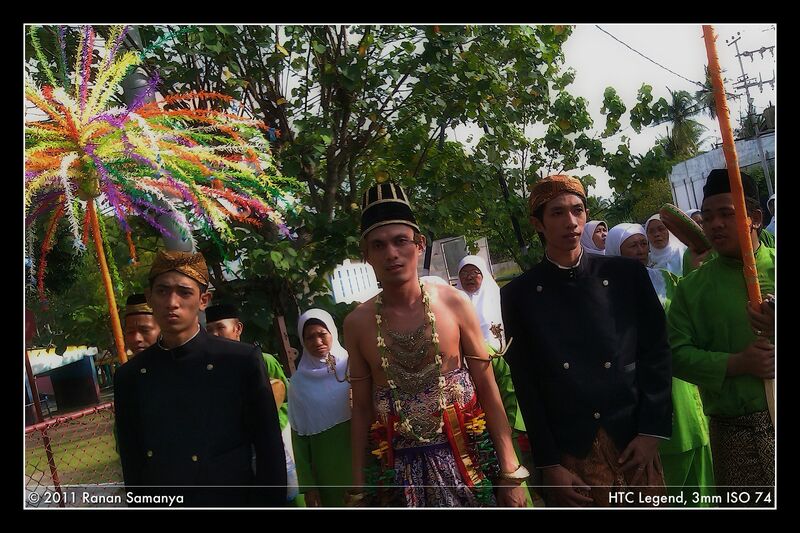 It’s not every month that we have a Javanese wedding reception here in Riau Archipelago, Indonesia. I wasn’t expecting such a ceremony, so all the cameras were left in the house (bummer!). Relying on my HTC Legend camera was, at that point of time, the best option available. 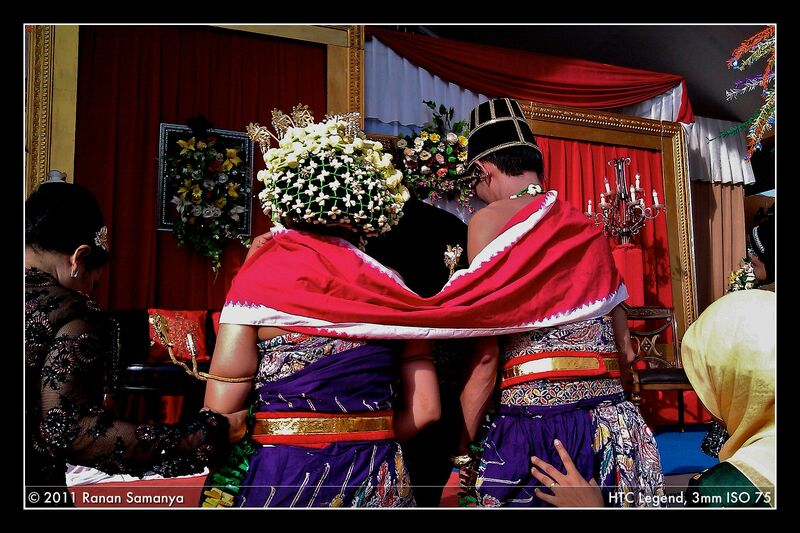 The bride (Indra’s eldest daughter) and groom were beautiful and handsome. Their parents were a little tensed, but still managed to smile. 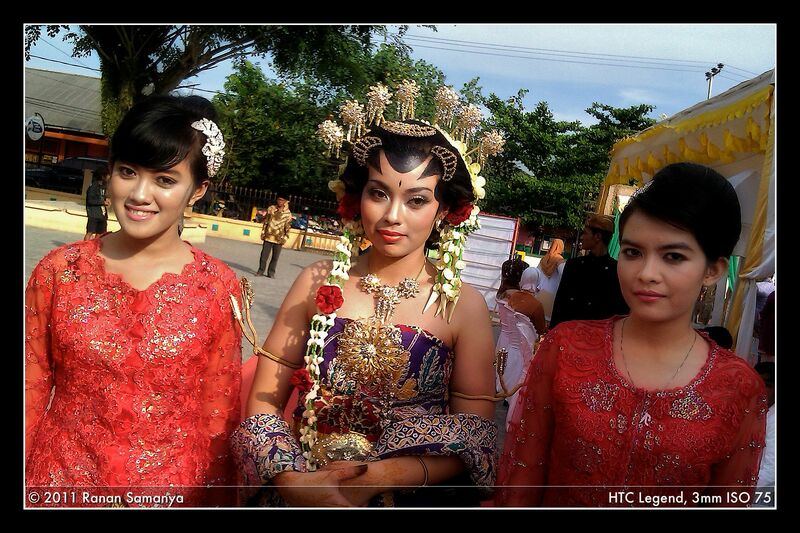 The traditional Javanese costumes were superbly colorful and glamor, and the make-ups were excellent. Here are a few frames from the ceremony. 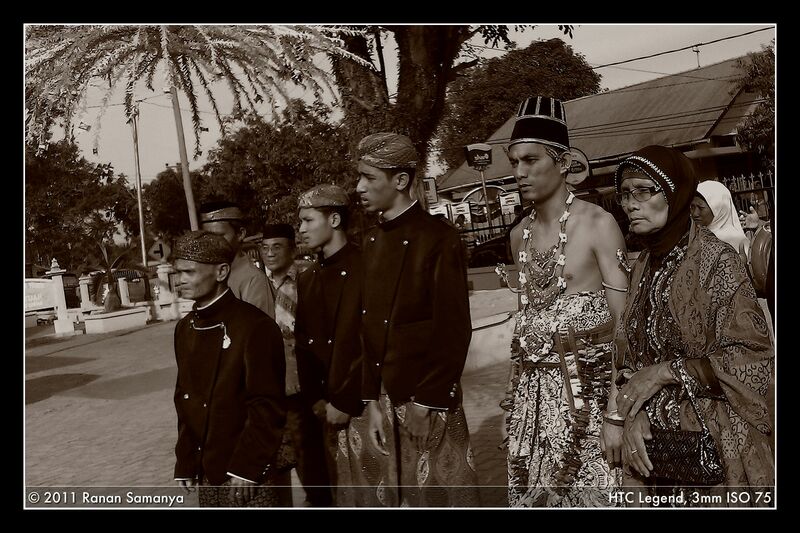 I don’t know much about Javanese wedding culture, so I will just keep my mouth shut and let my Javanese friends comments here if they are not lazy (grin). All I know is that every move has got a meaning, every gesture is a symbol of life. Karina and Aldi, all the best for an ever-lasting marriage! I feel that a black and white tone befit most of the frames more, but it might be a personal choice. At 15:30 it was hot, but the sun eventually gave a good lighting for my minuscule toy camera. All pictures were taken with flash forced on (not that it helped in any way, but just to make a peace of mind in me). Post processing was done using Aperture. I first sharpened all the pictures, adjusted the color using color punch preset, adjusted the shadow/highlight, and then created a paper-toner color using Nik’s Color Efex Pro pugin. Comparison with the color pictures from the gallery below.